Gus & Lula: Gus and........Lula??? 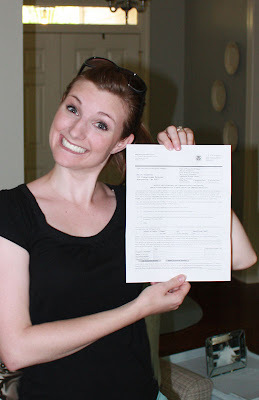 After one year in the adoption process, thirty-nine notarizations, authentications, and certifications, four homestudy meetings, five trips into Atlanta (for said authentications), six months of "officially" waiting, five parenting and adoption books, accumulation of countless baby items, and thousands of prayers.........we have a "pre-referral"! For those of you not familiar with the adoption process, a referral is when we will get photos, medical information, names, histories, etc. for the two children we've been matched with. We don't have this yet. And for those who don't know what a "pre-referral" is (which is all of you, since I just made the term up!) - it's our agency letting us know (unofficially, of course) that we've been matched with two BOYS! In all our months of waiting, the thought that we might end up with 2 boys never really crossed my mind. I knew it was a possibility, of course, but I just knew that we would end up with at least one girl. After all, we don't know much about little boys at all, and we're surrounded by little girls (our nieces, our small group, etc.). So when I read the email from our agency, all I could do was laugh. There were so many thoughts rushing through my head, but one of the dominant ones was: "God is just hilarious!" After all our preparation, planning, and waiting, he still knew how to throw us a curveball! And I'm thrilled, over the moon, jumping for joy! Just like when we finally got immigration approval back in spring, I'm making my cheesy happy face! There are, of course, a few practical matters to consider. For instance, my etsy store, Gus + Lula, named after our pet names for our little ones. I'm thinking our son will probably not be cool with the nickname Lula. 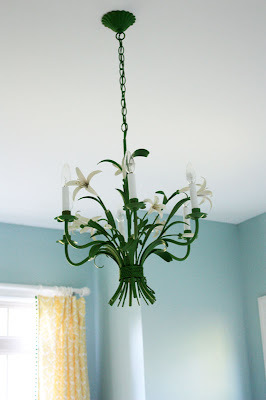 And my gorgeous tole chandelier. A little on the fussy side for two boys. What was I thinking?!?! 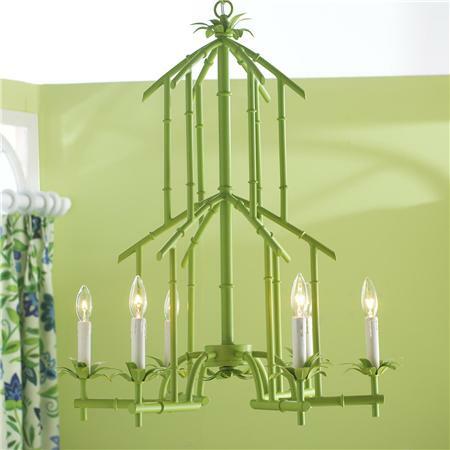 I'd love to find a faux bamboo fixture (like this one) to replace it - if anyone knows where to find one of these cheap, please let me know! And names -- we had two girls' names picked out, and just one boys' name. Of course. So now we need to come up with another boys' name - NOT an easy process for us! Both of these are great reminders to me that God is in control, and that He is working all things - including our months of waiting and our surprise pre-referral - for our good. If I did not have this assurance, I can't imagine the stress and anxiety of knowing that our babies are half way around the world in a third world country! God is good! how awesome! a yay!, yay! !, yay!!! is surely in order. it is amazing how God certainly does have a sence of humor AND that He always will provide all our needs. If it will help in your name process at all I've got an Owen and Eli (short for Elijah) and other boy names on our list were: Noah, Gabe (Gabriel), Charlie, and Maxx. Ummm... crying again as I read this post. And yes... Lula AND that pretty chandelier both have to go. 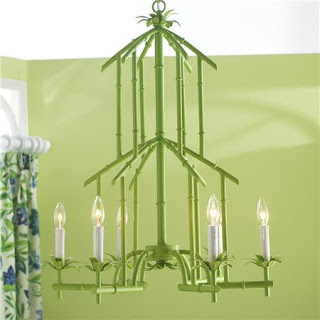 I'm sure you'll find another place for the light fixture. I seriously cannot wait to meet "our" baby boys and let them know that not only do they have a momma and daddy who love them now, but they are surrounded by an entire (CrAZY) family who loves them! Congrats! That is so exciting!!! I am sure you will come up with a great name!! How exciting!!! Can't wait to hear more about those two little boys and what their names will be! God is good, all the time! Congratulations to you and your boys!! Congrats!!!!! That is so exciting. You are just precious! And I will take your girly chandy, I have the matching vintage table lamp in my daughters room :). But I don't have a cool faux bamboo lantern to trade you for it :( I think that "lula" will love this story about his pet name. You already have a funny family story and you aren't even united yet! How cool is that! I'm a two-boy mom, too, and I can tell you it's going to be a blast (although you may want to put away some of your pretty breakables)! Congratulations! You will love being a mom to boys. Your personality and humor seem to be designed for it! When I was pregnant with my first I desperately wanted a girl (I'm the oldest of 3 girls!) I'm now the mommy of 4 boys and let me tell you I'm not sure what I would do if I had a bunch of girls instead of boys. My mother always told me God gives us what He thinks we need... I know that's true with birth and adoption! How exciting! Boys are amazing! Can't wait to read about your next step. Aww! Congrats! I'm glad you are finally getting some progress! I am so excited we have two older girls and an almost 2 yo boy and he is such a BOY!!! I like Guy...Gus and Guy are kind of twin names or you could do the alphabet like a is for Augustus and b is for Benjamin or months of the year like July and August or Ceasars like Augustus and Octavious...Wow I am out of control tonight...but sooooo excited for you! Congratulations on your "pre-referral!" Let me tell you that boys are the absolute best! Take it from a girly girl that has one and wouldn't change it for the world. You'll love being a "boy mom!" Gus and Louie? Sounds like a couple of old life long friends. Congratulations. Britt, that's such wonderful news!! What a gift to be in anticipation of a son (or two! )during Advent! A close friend of mine has a "Gus"- short for Agustine, and her other son's name is Ambrose. Both saints names that had special meaning for her. Regarding the chandelier- perhaps you were thinking you wanted to sell it to me?! If you wouldn't mind taking a moment to say a prayer for a friend of mine- she's the mother of two boys as well and lost her husband a few months ago. She's been handling things amazingly well since her husband passed away, but in the last week she's had a few hard knocks and today a pipe burst in her basement, flooding it and ruining the carpet and some other stuff. She just said on the phone that she feels like she's being tested and she doesn't understand why. Anyway, congrats on your wonderful news! Can't wait to hear all the details soon! Congratulation!! I posted the other day for the first time and here I am again. I also live on the southside of Atl, Peachtree City. Anyway, so excited for y'all. I felt the same way about having a boy when I was pg with my little man, but I can honestly say he is such a joy and there's such a different bond with him than I have with my girls. You will adore being a boy mommy!! God bless! Congratulations! What wonderful news--and right before Christmas! Congratulations! Its a Christmas miracle! Congrats! God is so amazing! We've been praying for your family and a smooth adoption process. So glad to see progress and a humorous turn in events! My parents birthed and raised twelve kids! Count 'em: twelve! And you know what my dad says? "We have kids to raise parents." Don't think you're going to be perfect despite all your prep, forgive yourself when you make a mistake and let it go. Your boys almost certainly will. Congratulations!